It’s always a good time for a beer-cation in the perfect destination: Tampa Bay. You don’t have to wander far to go bottoms-up at some of the best breweries in the nation. Local flavors and cultures combine to create original brews as unique as Tampa Bay. Whether you’re looking for a brewery, a bar or a festival, craft the perfect experience in Tampa Bay. Cheers! While we’re busy bragging about our local hand-crafted beer and unique bars, Tampa Bay is also the place to cheers to great beer fests! The inaugural Tampa Bay Beer Week was established in 2012, and has since hosted thousands of events ranging from large-scale festivals to beer tastings, beer dinners and more. The success of TBBW has been a major factor in the continuing growth of the Tampa Bay area craft beer community. Tampa Bay Beer Week begins on the first Saturday of March and ends 8 days later. It has become the premier Beer Week destination in the Southeast. Raise a glass with the History Center for “History by the Pint: Beer and Brewing in Tampa Bay,” opening March 2. The exhibit traces the heady history of beer in the bay area, from its Ybor origins to Florida’s craft beer capital. Learn about early breweries and brewing methods, Prohibition&apos;s effects on Florida, the rise of national breweries in Tampa, and how the home brewing movement of the 1970s triggered a cultural shift in the way Americans consume beer. The Tampa Bay Lightning is bringing back the craft beer drinking event of the summer, Bolts Brew Fest. Sample your way around more than 100 craft beer varieties from more than 50 local and national brands. Plus, test your skills with exclusive games, interact with Lightning personalities, and more! Get a VIP ticket for the ultimate experience. Come celebrate the halfway point to Tampa Bay Beer Week 2019 at Armature Works. Taste beer from 58 local, national, and international breweries that have played a major role in the continued success of Tampa Bay’s beer culture. Enjoy unlimited samples and a commemorative sampling glass. Food will be available for purchase from the numerous vendors located in the Heights Public Market. Make sure to get your tickets beforehand to save! Thrills are on tap at Busch Gardens with the all-new Bier Fest! Toast to the end of summer every weekend from August 25 through September 16, plus the extended Labor Day Weekend. This all new festival blends the local Tampa Bay craft scene with time-honored traditions to create a unique food and beer celebration. More than 100 beers from 65 different breweries around the world will rotate through the four-weekend festival featuring live entertainment and contemporary fare that pays homage to a traditional Oktoberfest with a modern spin. 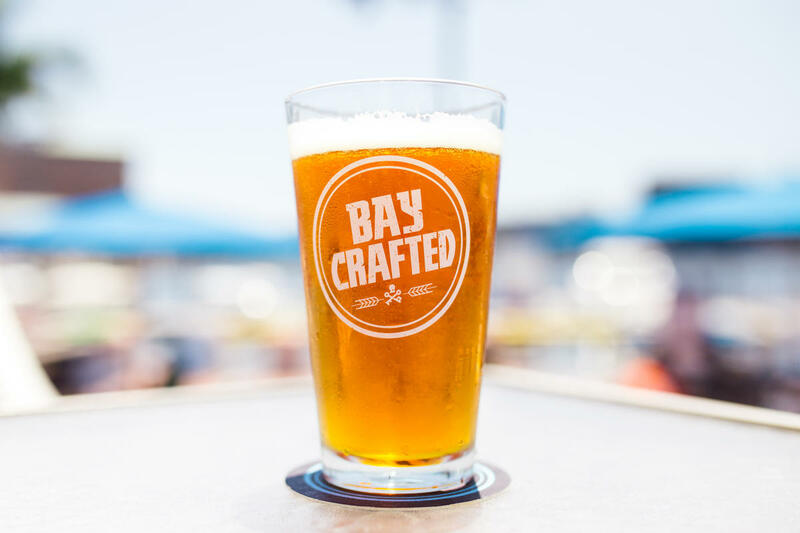 Feel the sand in your toes as you sample more than 100 beers from over 30 world-renowned breweries at this beachside event! General admission includes a souvenir tasting glass perfect for unlimited sampling. Reggae music and a perfect sunset view make the Sand & Suds Beer Festival one you’re not going to want to miss! Dive into unlimited beer tastings and food samplings at The Florida Aquarium! It will be overflowing with endless beers, delicious food from local restaurants, a sea of live entertainment and even a silent disco. Plus, all of the exhibits will be open to enjoy! Celebrate the 9th Annual Oktoberfest Tampa with German cheer through dancing, singing and (of course) drinking beer! Oktoberfest Tampa is time to unwind and make new friends while learning true German traditions, indulging in authentic food, and getting competitive with plenty of exciting games and competitions. From bratwurst to keg stacking, there will be no shortage of classic fun. Get your tickets and a “Survival Guide” online!